We’ve speculated for months. On a soundstage in Burbank yesterday, Disney CEO Bob Iger finally laid out all the details on Disney Plus, the streaming service that the House of Mouse claims they’ll lose money on in the short run in order to capture all your money in the long run. Set to launch November 12, the service will cost $6.99 a month. If you subscribe at launch time, it will cost $69.99 for the full year, thus $5.83 per month. 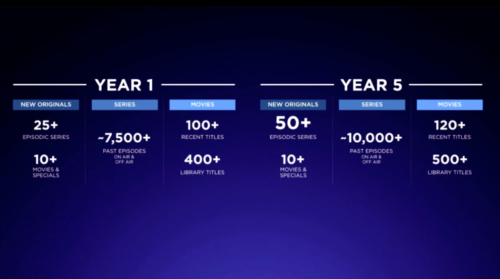 Disney Plus won’t have ads, and all the content will be downloadable for offline viewing as long as you’re an active subscriber. 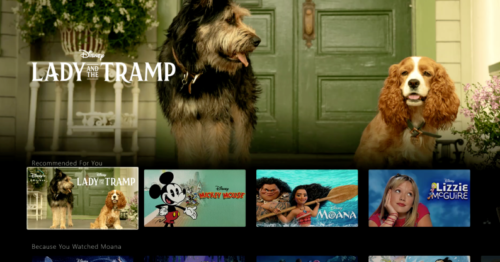 They will offer a bundled option to include Hulu and ESPN Plus, but Iger feels it’s important for users to have options — especially when Disney Plus itself looks like such a deal. If you’re on the fence, waiting for that killer series to make it all worthwhile, they’ve probably got it ready. Iger confirmed things most people already knew, though some titles are different than internet rumor had them. He brought out Marvel Studios head Kevin Feige, who promised The Falcon and the Winter Soldier and WandaVision, impacting the larger Marvel Cinematic Universe and starring the film actors. But the first MCU mini-series to stream will be Loki, starring Tom Hiddleston, and that probably sold this direct-to-consumer service right there. Though these are strong shots across the bow against Netflix, no arrows came from Jeremy Renner, allegedly in talks for a Hawkeye series. Feige did also talk about the animated What If? series, saying that one episode will focus on Peggy Carter becoming Captain America rather than Steve Rogers, thanks to Howard Stark’s technology. The biggest surprise may have been the announcement that from the launch date, all 30 seasons of The Simpsons that have been broadcast on Fox will be exclusively streaming on Disney Plus. (Seasons 31 and 32 have yet to be broadcast.) This pulls them from the FX and FXX apps, though that seems to be step one in a logical progression of consolidating services. With Disney having a controlling interest in Hulu, it seems likely that the FX service will shut down and its non-family-friendly content will roll over. Whether or not you consider The Simpsons family friendly may be a different matter. They’re a family, and for the most part they’re friendly. Disney promises theatrical windows will not be affected. 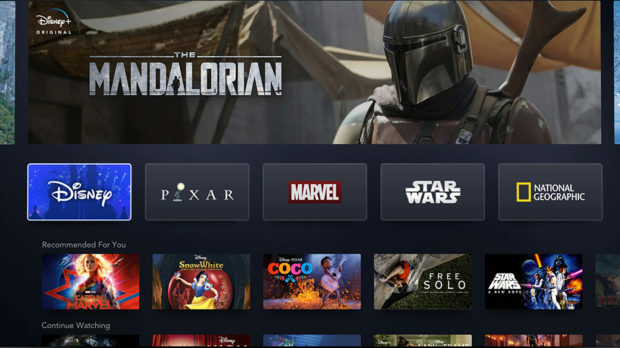 They’re not going to curtail runs in order to get more content on Disney Plus. And they’re not ready yet for other markets, though they have a three-year roll-out plan for Europe, Latin America, and Asia. It’s going to cost them over a billion dollars in content development for 2020; the company does not plan to be able to turn a profit on this until 2024 — though they also plan on 60 to 90 million subscribers worldwide by that year. For those unconvinced — and we understand — we can presume there will be physical media releases of this content, but Disney did not discuss that.